If you've been doing your 101 Days of Awesome homework, you should have checked out Preacher back on day 14. It's time for your second comic book assignment. You need to find Strangers in Paradise. 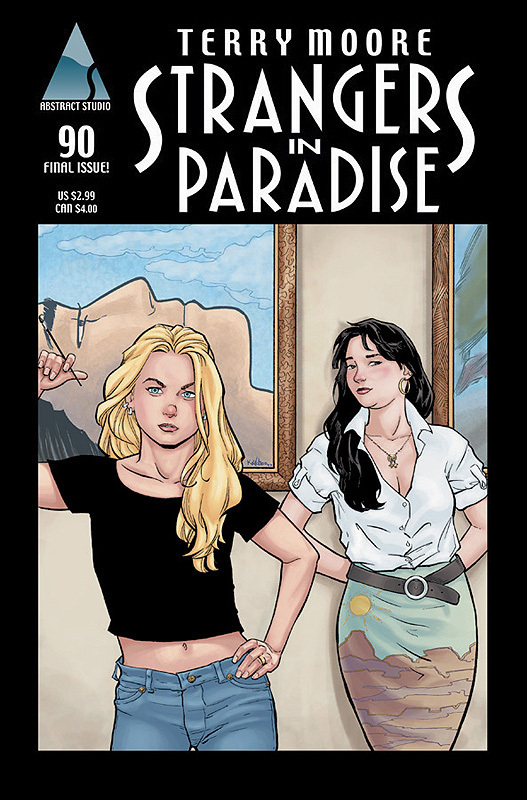 If HBO or another network really wants an adaptable comic book for its next great series, Strangers in Paradise might just work. Francine and Katchoo are great characters. Get the right actresses and you have a gold mine of material.And seriously. Go straight to the source. Tell Terry Moore's story. Don't make up your own adventures. He did it right the first time. I remember some stuff being confusing when he switched publishers and went to color and back, but that can be fixed. It's going to be awhile. So for now, get thee to a comic store and pick up I Dream of You, the first collection.